Increase your breast size by up to two cup sizes, without Surgery. Completely Non invasive treatment with fantastic results, see our before and after pictures. The treatment itself lasts approximately 45 minutes and we recommend a course of 6 to 10 treatments twice weekly for optimum results. First the breasts are treated with Microcurrent which works on the breast muscles, increasing the muscle tone and thus making the breasts lift and become firmer. This is followed by the vacuum. Specially designed cups are placed over each breast and they are pumped up with the vacuum. The cups are left in place for about half an hour, it may feel slightly uncomfortable and a little strange but is not painful. The vacuum increases the blood flow into the breast tissue and this increases the volume by opening the capillaries. The breasts become enlarged immediately following the treatment, but for a more permanent effect a course of treatment is recommended. The following images where taken after one treatment with PermaLift Non Surgical Breast Enhancement at the Edinburgh Scottish Beauty Exhibition 2013. 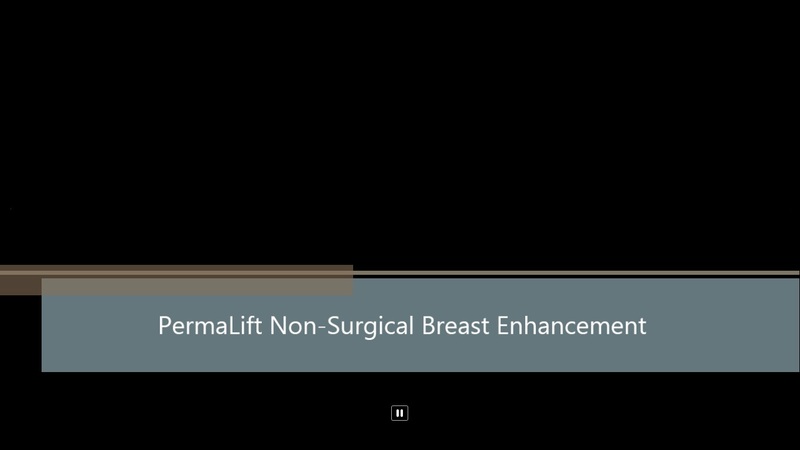 Instant enhancement to the breasts is clear. The visible redness is caused by increased blood circlulation and will fade within the hour.